A very simple mod, which will kill player whenever he reach a certain fall distance. Mainly designed to be used in CubicChunks servers with The End dimension with unlimited height, but can be used in vanilla servers as well. Max fall distance is configurable. 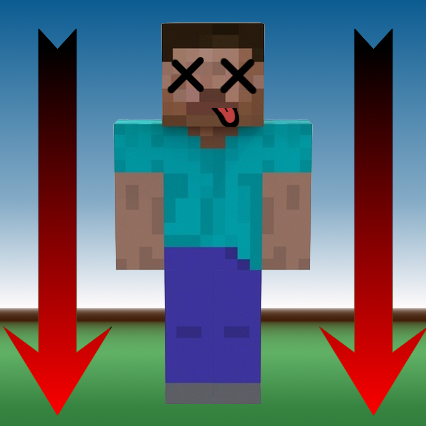 Can you make this kill the falling block entity that's created from sand-like blocks such as gravel, concrete etc? cause that would be a damn life saver to both players and fps. I just put this mod on my cubicchunks server and fall damage seems the same. Any ideas how I can get it to work? So are you saying that because my server doesn't have an end dimension that it shouldn't work? I don't get it. This mod is not altering fall damage. It's just kill you when fall distance reach certain value.